Interested in adding the Law Enforcement Today Show to your radio station’s lineup? The Law Enforcement Today Radio Show is a new and unique radio show. Our show offers radio stations a style and format that is similar to the Police – Investigation shows that are so popular on television. The Law Enforcement Today Show is currently being broadcast on twenty four (24) affiliate radio stations, with more being added in the near future. The Law Enforcement Today Radio Show is available for affiliate news talk radio stations on a barter basis. However, unlike many other barter shows all of our spots are contained in the body of our show, so there is no need to add spots. It is syndicated by Genesis Communications Network and distributed on XDS Satellite, internet feed is also available. Click here to learn more about syndication of the Law Enforcement Today Radio Show. Our show is recorded at the radio studios of Glades Media, owner of multiple radio stations located throughout South Florida. The studios are located in West Palm Beach Florida. 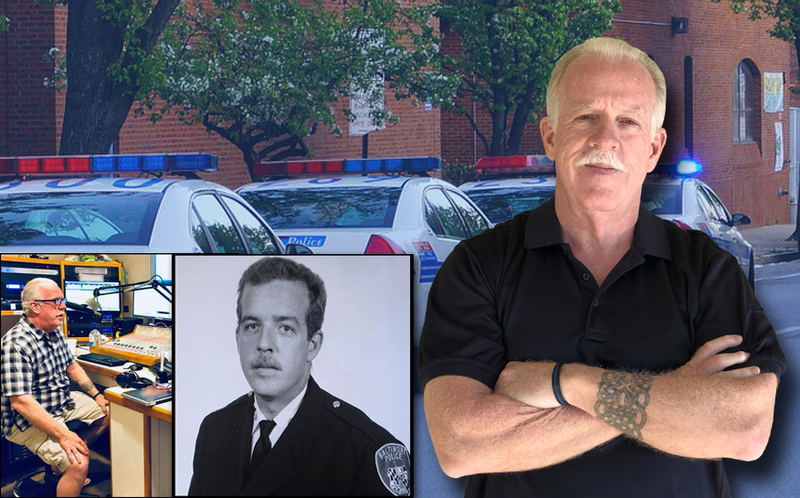 The Law Enforcement Today Radio Show is hosted by John J. Wiley, retired Baltimore Police Sergeant and radio personality with more than 15 years broadcast experience. We don’t take a confrontational “us against them” approach. We provide a show that contains the perspectives and experiences of active, retired Law Enforcement Officers, their family members and those involved in groups that support Law Enforcement Officers and their families. The Law Enforcement Today Show is currently being broadcast on twenty four (24) affiliate radio stations, with more being added in the near future. Only one station per market will be allowed to broadcast the show. Our spots are included in our show. Our unique once a week show that is perfect for off peak times, such as weekend evenings or nights. Hosts that have real world Police Experience, but don’t present themselves as experts lecturing the audience. Our shows are not confrontational and don’t seek to create or engage in controversy! All we ask for is 30 days notice. We also understand that from time to time affiliate stations might need to move the show to another day for sports broadcasts, or breaking news. The show is available in either 1, 2 or 3 hour packages and is delivered via XDS Satellite and internet feed. Special requests for a 3rd hour are delivered via email. Our show is formatted with the first 6 minutes to the affiliate station, another 6 minutes for the affiliate station at the bottom of the hour and 10 seconds before the top of the hour for station ID. We can and will create other versions of the show to accommodate other frequently used clocks. We are already a significant online presence with our website and social media pages, with almost 700,000 followers that will be used to promote the show and affiliate stations. Please feel free to contact John J. Wiley at [email protected] or (561) 596-9337, or Adam Miller of Genesis Communications Network at [email protected] Or call Adam at (877) 996-4327 ext. 148 with any questions that you might have. Radio stations, click here to sign up for our email newsletter. Stay up to date on the latest news and learn how our show can benefit your station and listeners.